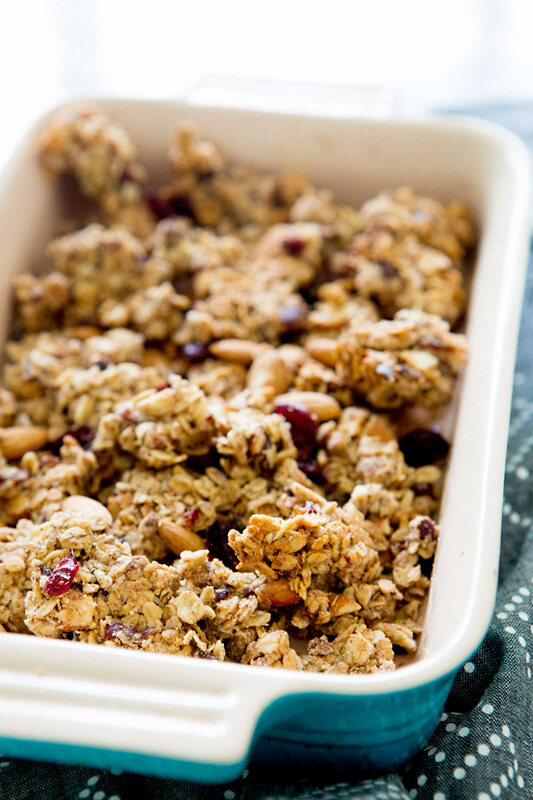 In a large mixing bowl combine oats, almonds, cranberries, maple syrup, almond butter and salt, mixing thoroughly. Using coconut oil lightly oil two 7 x 10 inch baking pans. Pour contents of mixing bowl into baking pans and spread evenly, pressing firmly. Cool thoroughly before cutting- you can use a fork to break off little bite-size bits! Those look really good! Although they were meant to be bars, who doesn’t love a bite? 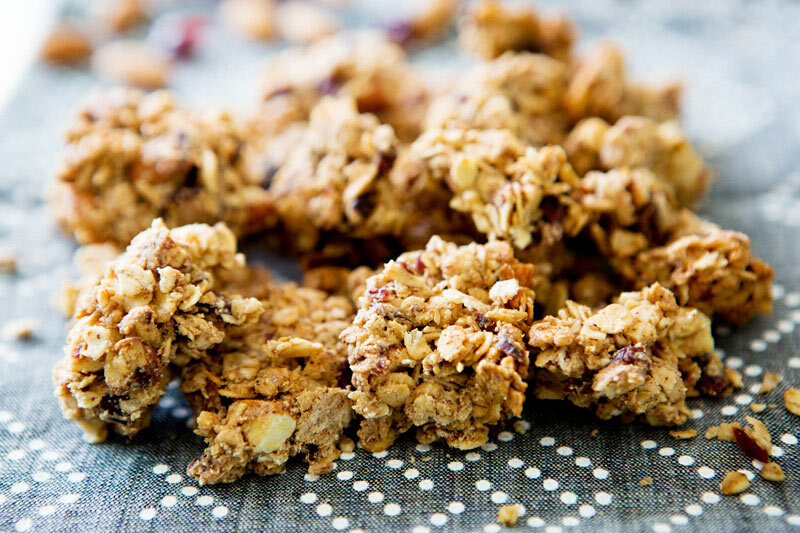 This looks so good and way healthier than the ones sold in shops, I’ve got to try these! Thank you! These look great, and I imagine the flavor variations are endless. I would still love to eat a bowl of these with some frothed soy milk – they sound absolutely delicious! 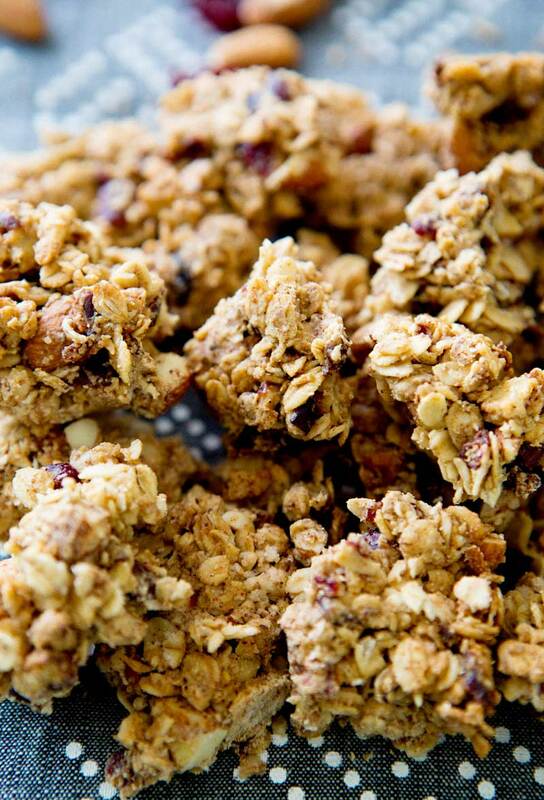 pour some unsweetened almond milk over those bites, hand me a spoon, and imma gonna go to town! 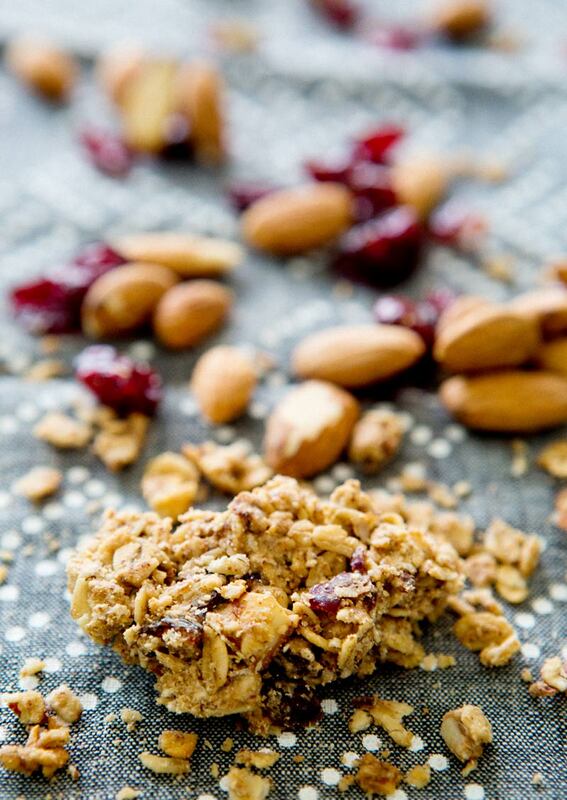 I love it when granola has big chunks in it so I know I would like these bites. Who needs bars anyway?